A musical instrument not only has to be visually appealing in its construction, it also needs to be sonically rich and support ease of play. 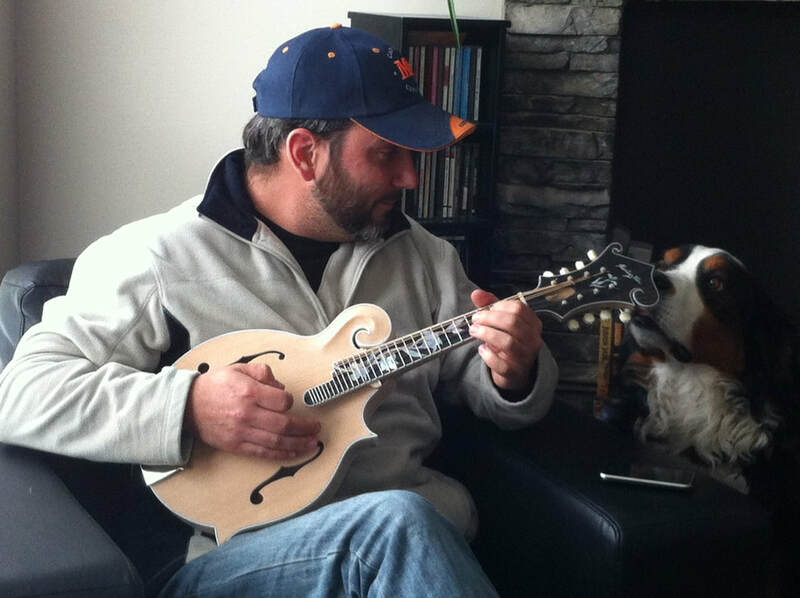 This challenge is ongoing and addictive to a craftsman -- after making my first mandolin I could not stop! The fulfillment I realized from this foray into lutherie inspired me to make it my main focus. I now fill my time with reading lutherie books, exchanging knowledge and tips with other luthiers, speaking with musicians and, of course, building more instruments. I craft all my instruments by hand, using traditional tools like hand planes, card scrapers, and chisels. I love to feel the wood change shape and become a part of something complex and soulful. The journey begins at the wood supplier, hand-selecting materials from Master and AAA grades of Sitka, Engelman, and Adirondack spruce, figured maple, rosewood, walnut, mahogany, and ebony. Each component is carefully shaped and tap-tuned to maximize resonance and quality of sound. I don't use CNC (Computerized Numerically Controlled) machines and never will. 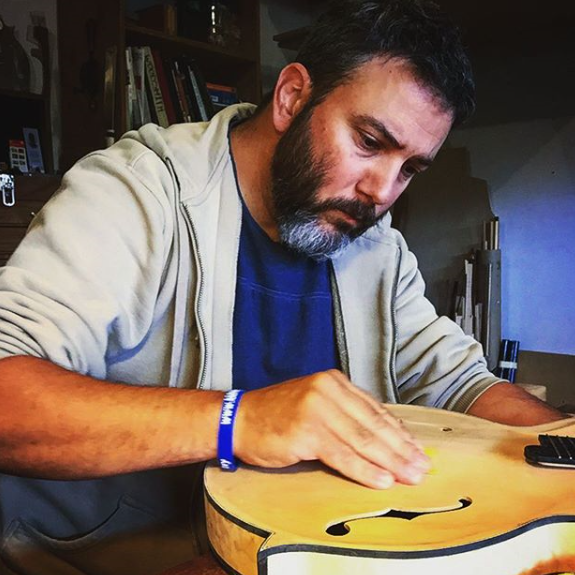 My joy and satisfaction come from producing quality, handcrafted instruments, meticulous in construction and artful in design, and this trumps mass production any day. I take special care with the inlay and finish on each instrument, adding to its originality and beauty. If you are looking for a unique, fantastic-sounding instrument that has been handcrafted with love, you are in the right place. Check out the side tabs for photos, construction details, and testimonials. Enjoy your time here, and please contact me with any questions.